Our services will start with your arrival at Jammu Railway Station / airport, you will be met by our representative and proceed to Katra. Check into the hotel & relax. Evening is free at leisure. Overnight stay at Katra. After breakfast, start your Holy Journey to Mata Vaishno Devi Darshan. Mata Vaishno Devi temple is one of the holiest Hindu temples dedicated to Shakti and is the second most visited religious shrine in India after Tirupati Bala ji Temple. Trek to Mata Vaishno Devi shrine (14 km), ponies can also be arranged by self (at your own cost) for the trek, return back to Katra late in evening/night. Overnight stay at hotel in Katra. After Breakfast, proceed to Patnitop from Katra. 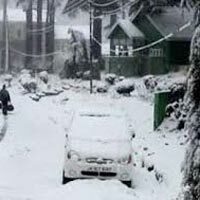 Patnitop is a hill top tourist location in Udhampur district on the National Highway 1A, on the way from Udhampur to Srinagar. 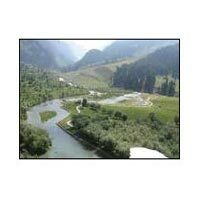 Patnitop is a distortion of the original name of "Patan Da Talab" meaning "Pond of the Princess". In olden times a pond existed in the meadows and the king’s princess often used to have her bath there. Proceed for local sightseeing which includes Nag Temple and excursion to Nathatop and Sanasar, Overnight stay at hotel in Patnitop. After breakfast, depart for Pahalgam. (2440 Meters above Sea level). Drive through the green pine forest and along the Lidder River. On arrival at Pahalgam, check into your Hotel. 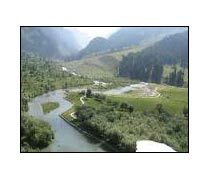 Enjoy local sightseeing of Pahalgam. Overnight stay at Pahalgam. After having your breakfast the rest day is free at leisure. Dinner & overnight stay at Hotel. After breakfast check out from the hotel & drive to Gulmarg (2440 Meters above Sea level). It is one of the most beautiful hill stations and also called "Meadows of Flower". 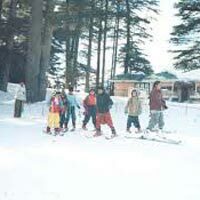 It has world’s highest golf course and Gulmarg is also famous for winter sports like skiing. 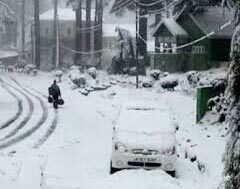 On arrival at Gulmarg, check into your Hotel. 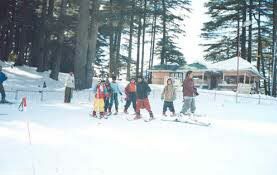 Afternoon enjoy guided sightseeing of Gulmarg also enjoy Gondola ride (Cable car, own cost) from Gulmarg to Khilan. Overnight stay at Gulmarg. After breakfast check out from the hotel & drive to Srinagar. Arrive at Srinagar & check into your hotel / houseboat. 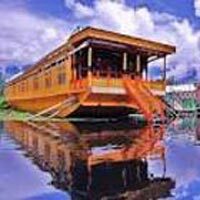 Evening enjoy Shikara Ride which covers Char Chinar, Floating Gardens, Canals etc. Dinner & Overnight Srinagar. After breakfast leave for local sightseeing tour to famous Nishat Garden known as 'Garden of pleasure' built in 16th century (1633) by Mughal Emperor Asif Khan. Then visiting Shalimar Garden known as 'Garden of love' built in 16th century (1619) by Mughal Emperor Jahangir for his beloved wife Noor Jehan or (Mehr-un-Nissa) also visit Chashme Shahi Later visit to famous Pari Mahal, Shankaracharya temple situated on top of a hill where you can have a view of whole Srinagar City. Later you can visit the world famous Tulip garden in Srinagar. Enjoy shopping at Kashmiri craft & art stores. Dinner & overnight at Srinagar. After breakfast, free time till departure. 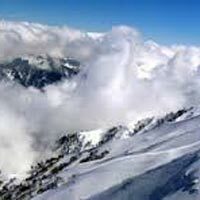 Check out from the hotel and transfer to Srinagar airport to connect onwards destination flight.